LAL L INSOUMIS MA FORCE EDT 100ML SPR. With this product, you earn 90 loyalty points. LALIQUE Man is ready to reveal another facet of his personality. L'Insoumis Ma force Eau de Toilette conveys the power of instinct. A philosophy for life; the art of following one’s intuition like an infallible compass in order to transform one's desires into real will. The scent of the sixth sense. 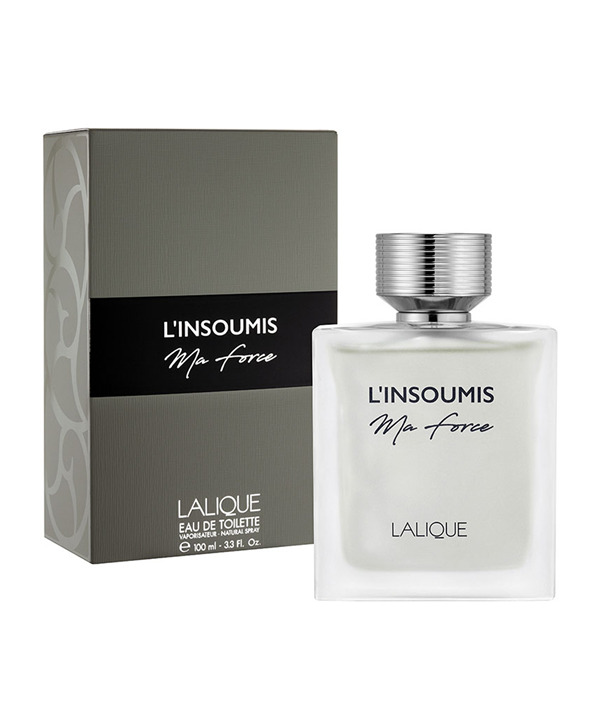 L'Insoumis Ma force Eau de Toilette imbues aromatic fern with impetus. An elixir from nature that reconnects man with his instinct.